Art of Assembly Book The most popular on-line assembly language reference in the world! Join the thousands and thousands of people who've discovered the fastest and easiest way to learn assembly language programming! Now Available for Mac OSX, FreeBSD, Linux, and Windows! The evolution of assembly language! Now you can write real assembly language programs without all the disadvantages of writing code in assembly language. Now you can write applications in true assembly code as efficiently as writing code in a high-level language. The most popular component of the High Level Assembler (HLA) has always been the HLA Standard Library. Check out the brand-new, revamped and improved, version of the HLA Standard Library! Windows Assembly Want to learn how to write Windows GUI apps in assembly language? This is the place to learn. NEW! HOWL (HLA Object Windows Library) tutorial is now available on Webster. HOWL is the easiest way ever to write Win32 assembly language programs. Linux Assembly Want to learn how to write Linux applications and device drivers in assembly language? This is the place to learn. 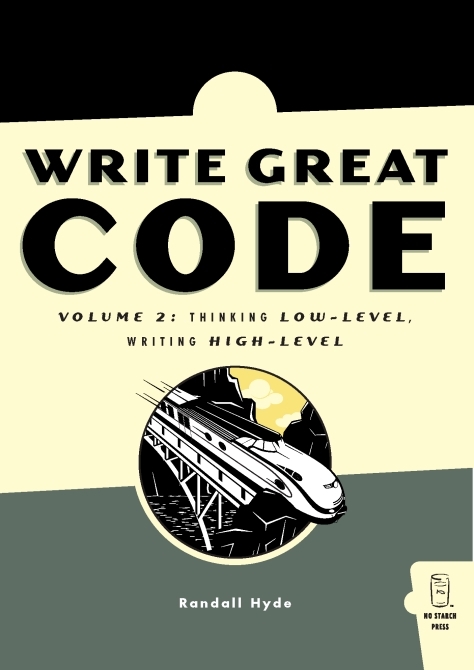 Write Great Code All about Randy Hydes "Write Great Code" series. SAC is a pro audio tool that implements high-quality "Front of House" and "Monitor Mixer" boards on a PC. Here is some software and other information I've written for SAC. The Easiest Way to Learn Assembly! Click HERE to see a larger version of the cover art. Randy Hyde's new series: Write Great Code teaches you everything you need to know to write efficient, readable, maintainable, and quality code. The first volume in this four-volume set, Understanding the Machine, teaches 'Machine Organization'. Whenever someone tells you that you should learn assembly language in order to learn how to write better high level code, what they're really telling you is to learn machine organization. 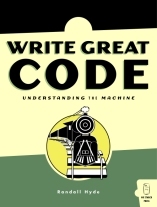 By reading this book, you can learn how the low-level machine operates so that you can write better high-level language code, without the drudgery of mastering assembly language. This book will also make a great companion/prerequisite text to "The Art of Assembly Language"
Compiler writers have often claimed that their compilers generate code that is just as good as hand-written assembly language. In practice, compilers rarely achieve this level because of the poor-quality high-level language source code fed to these compilers. Thinking Low-Level, Writing High-Level will teach you how to help your high-level language compiler live up to its promise. This book explains how compilers generate machine code from high-level language statements, so that you can choose the most appropriate high-level statements to efficiently solve the problem at hand.